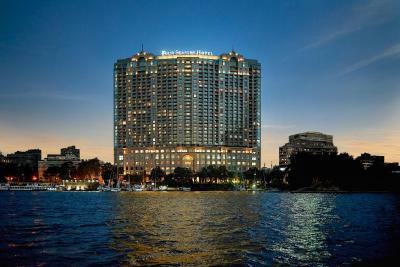 Lock in a great price for Four Seasons Hotel Cairo at Nile Plaza – rated 8.6 by recent guests! 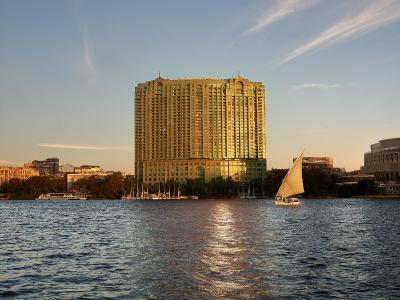 Excellent service, staff was helpful and upgraded me to a Nile view which was awesome. Resturants in hue hotel are top notch, excellent variety and service. Definitely will visit again and highly recommend. Perfect Location, and the service & security are amazing!! The views from the room is so beautiful. Nice rooms. Very cosy, great room service, one of the best spas ever, has some of the best restaurants in Egypt, and the view is superb !! Awesome service, great restaurants on site! Our tour through the hotel to the Pyramids and Egyptian Museum was a 10/10! Loved our spa experiences too. The hotel had a lot of security and we felt very safe. This hotel definitely made our stay in Cairo enjoyable! Great staff , great breakfast , clean and big rooms . Excellent location . 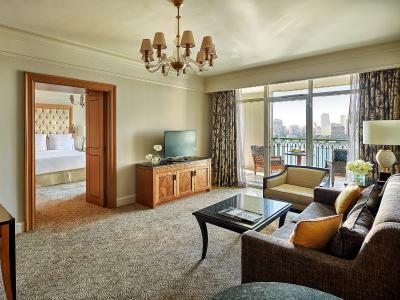 Four Seasons Hotel Cairo at Nile Plaza This rating is a reflection of how the property compares to the industry standard when it comes to price, facilities and services available. It's based on a self-evaluation by the property. Use this rating to help choose your stay! 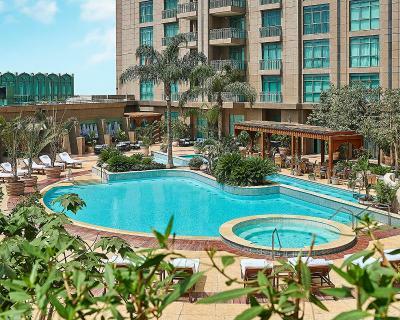 One of our top picks in Cairo.Featuring panoramic views of the Nile, this 5-star hotel offers air-conditioned rooms with a flat-screen satellite TV and a marble bathroom. It has luxury spa facilities, and outdoor landscaped pool area. 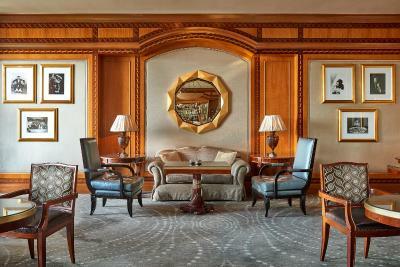 The well-appointed rooms at Four Seasons overlook Cairo. A bathtub, separate glass-enclosed shower, and 2 sinks are in each bathroom. 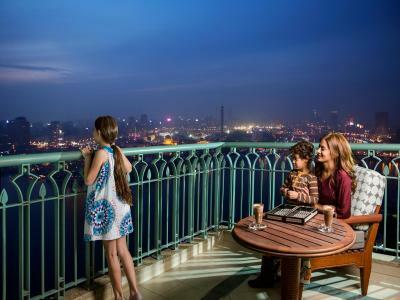 Some rooms have a sitting area with sofas and others have a private terrace where meals can be enjoyed. 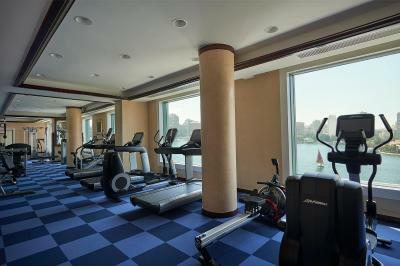 The Nile Plaza’s spa includes a gym, salon, and an indoor pool. Guests can relax in the hot tub or unwind with rejuvenating massage. Car rental can be arranged by the front desk. They also provide a laundry service, and 24-hour room service is available. 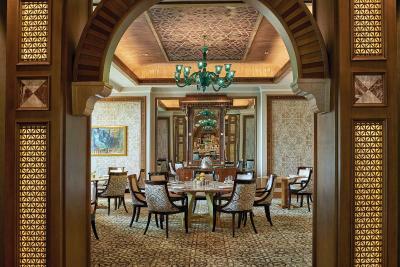 A freshly prepared, rich breakfast buffet is served every morning. 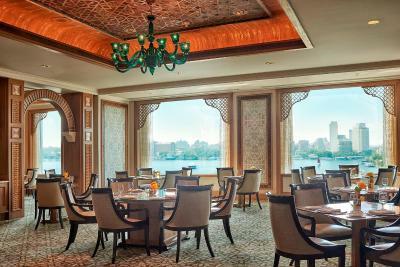 Guests can sample traditional meals from the region at Four Seasons Hotel Cairo at Nile Plaza’s restaurant. Garden City is a great choice for travelers interested in nightlife, entertainment and museums. When would you like to stay at Four Seasons Hotel Cairo at Nile Plaza? 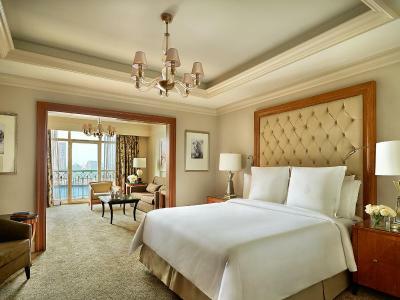 This room offers views of the pool and the historic Citadel. 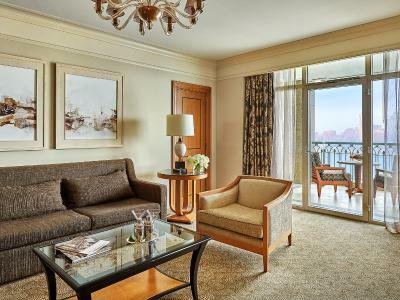 It features free WiFi, a flat-screen satellite TV, DVD player and a mini-bar. The bathroom is fitted with a tub and shower. 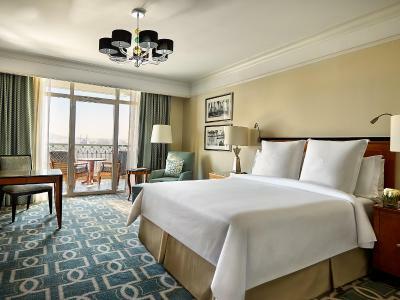 This room offers views of the pool and the historic Citadel. It features free WiFi, a flat-screen satellite TV, DVD player and mini-bar. The bathroom is fitted with a tub and shower. 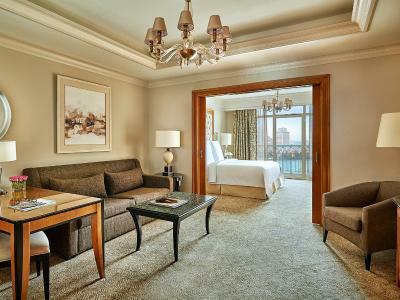 This room features view of the Nile and a private outdoor terrace. It includes a work desk and a bathroom fitted with a tub and shower. 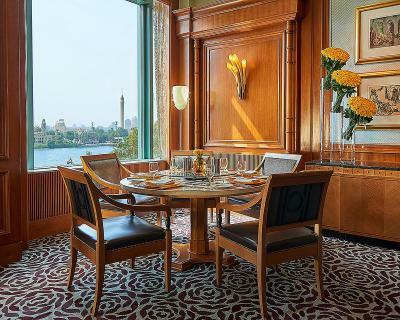 This room features views of the Nile from a private outdoor terrace. It includes a work desk and free WiFi. The bathroom is fitted with a shower and tub. 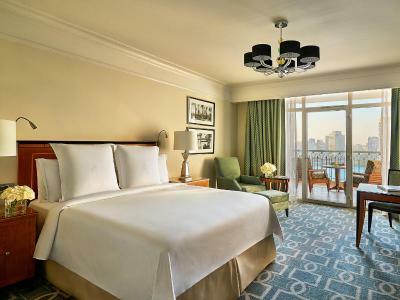 This room features views of the Nile and island of Zamalek. It includes a work desk and free WiFi. The bathroom is fitted with a shower and tub. 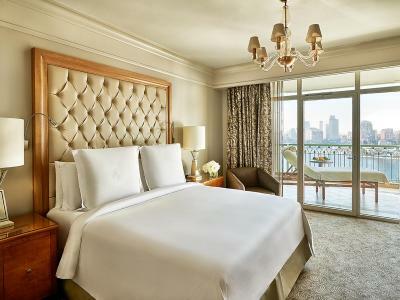 This room features views of the Nile and island of Zamalek from a private outdoor terrace. It includes a work desk and free WiFi. The bathroom is fitted with a shower and tub. 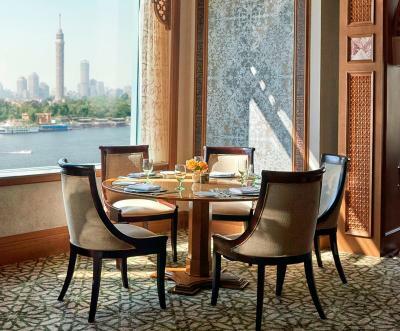 This air-conditioned suite overlooks the Nile and includes an outdoor terrace. It features a flat-screen satellite TV, a large living room space with a sofa bed, a walk-in closet and a separate powder room for guests. The bathroom is fitted with a tub and shower. Hotel surroundings – This neighborhood is a great choice for travelers interested in nightlife, entertainment and museums – Check location Great location - show map Guests loved walking around the neighborhood! 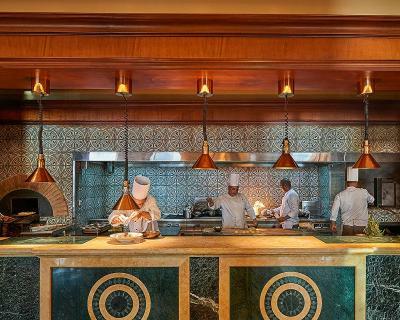 House Rules Four Seasons Hotel Cairo at Nile Plaza takes special requests – add in the next step! 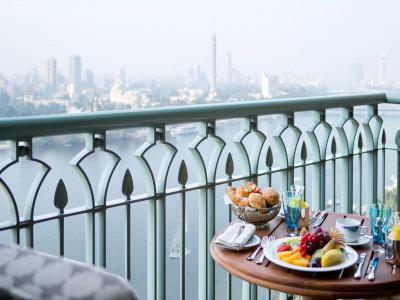 Four Seasons Hotel Cairo at Nile Plaza accepts these cards and reserves the right to temporarily hold an amount prior to arrival. 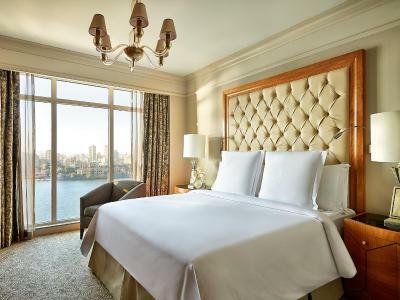 Please note that the hotel has the right to authorize the credit card with the cost of of one night's room rate plus service charge and taxes, per room, at the time of booking. -A 24 Hour Casual Restaurant/ Coffee Shop would be nice. The seating space and menu in the Lobby area was not adequate. 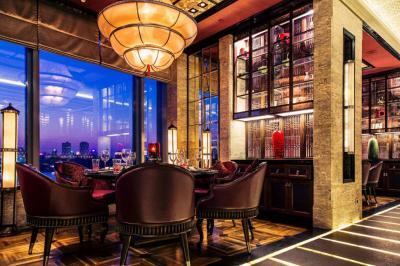 -Why should there be an extra charge for room service when there is a price differential in the menu and a Service Charge levied anyway. The staff cooperated by providing an early check in as we arrived at the hotel in the morning after a long overnight journey. This was most appreciated. Charged rack rate and didn’t have breakfast even. Great view, nice staff, and fantastic food. Everything specifically the staff, Hany in the lobby made my vacation amazing like never before. Excellent location, facilities - when there is a problem they fix it immediately - there is no other hotel to stay in when you are in Cairo. Just book it now!